A perfect activity where younger children will have fun learning and developing weaving skills. 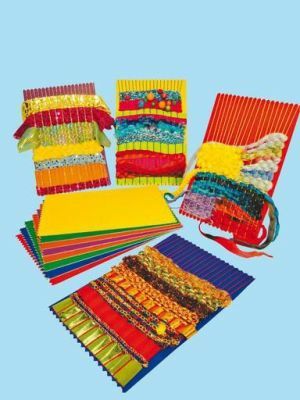 These re-usable weaving cards in a mix of vibrant rainbow colours ensure children are learning and having fun whilst making their own designs which they can take home and be proud of. Available in packs of 30 and measure 15cm x 22.5cm.